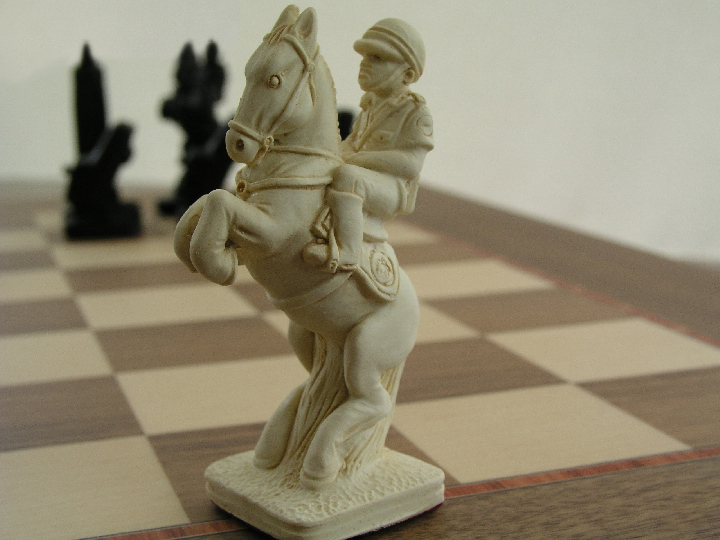 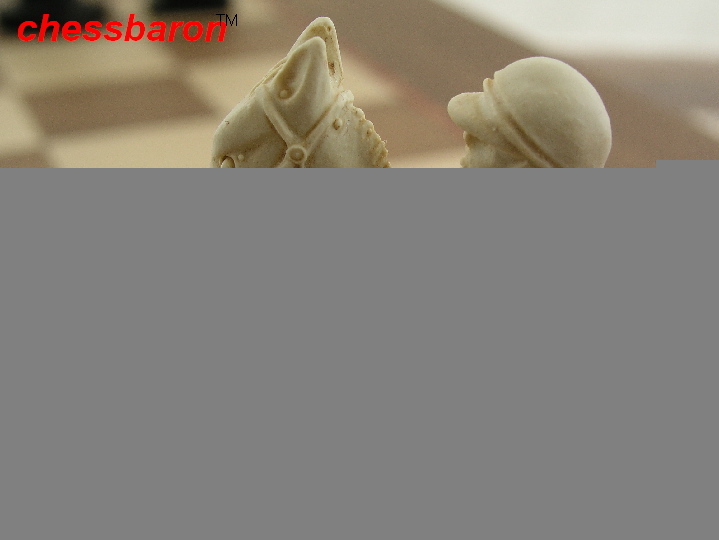 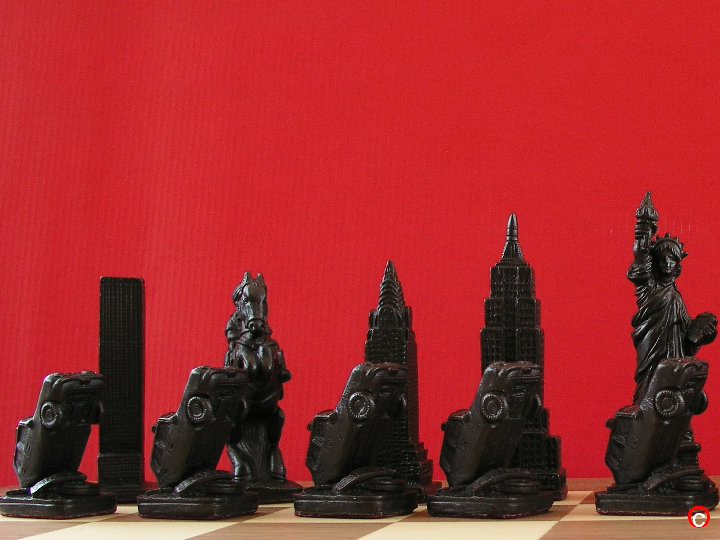 This product from Chess Baron: Made in England, specially for New Yorkers. 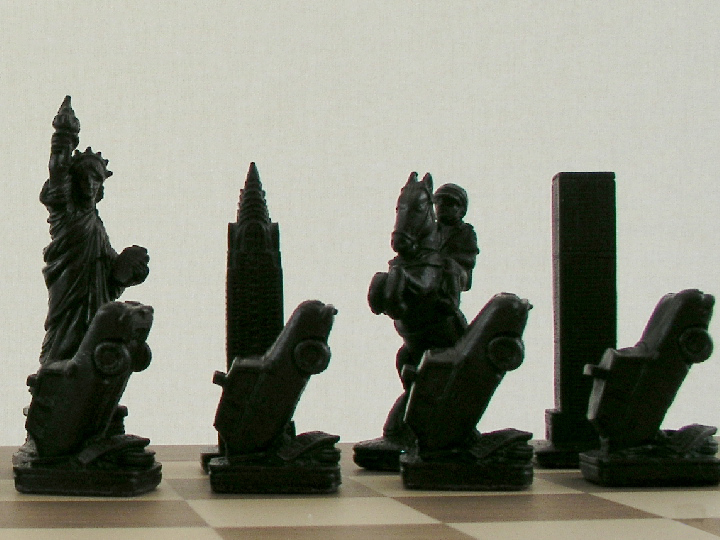 'And now for something completely different'. 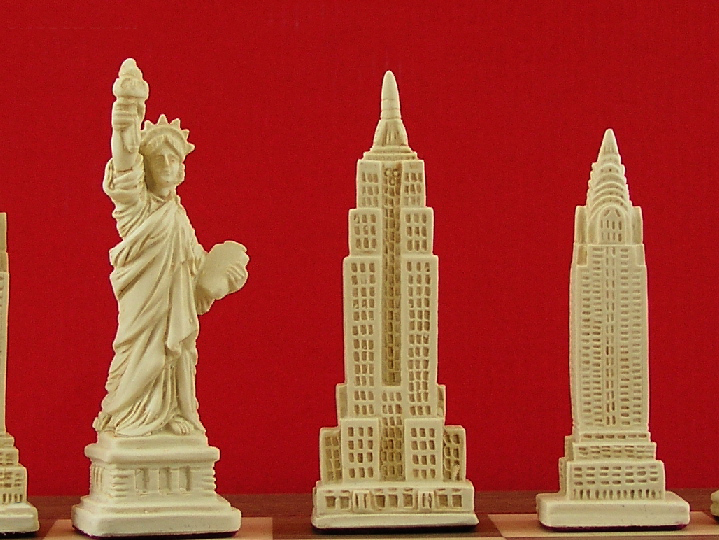 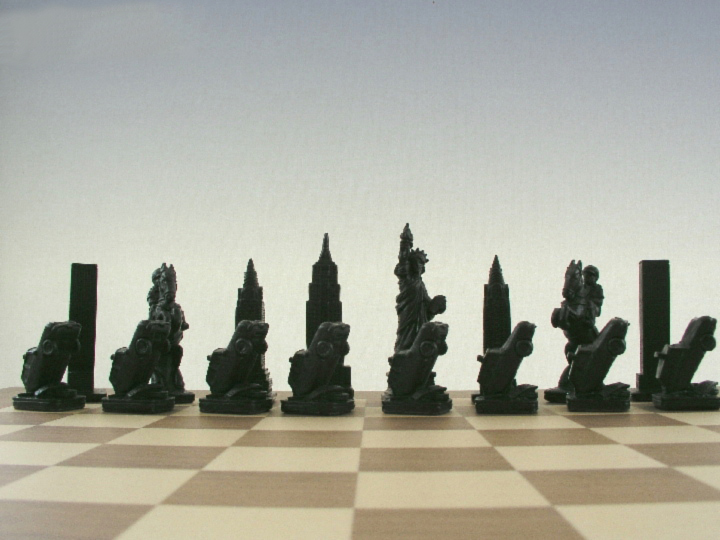 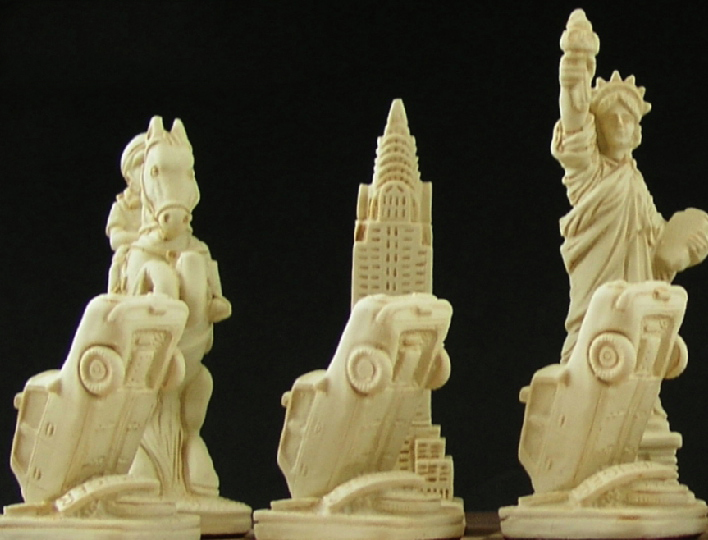 This limited edition chess set depicts New York in all glory - cops, the Manhatten skyline, buildings, cabs, cars, police horses and of course, the Statue of Liberty. 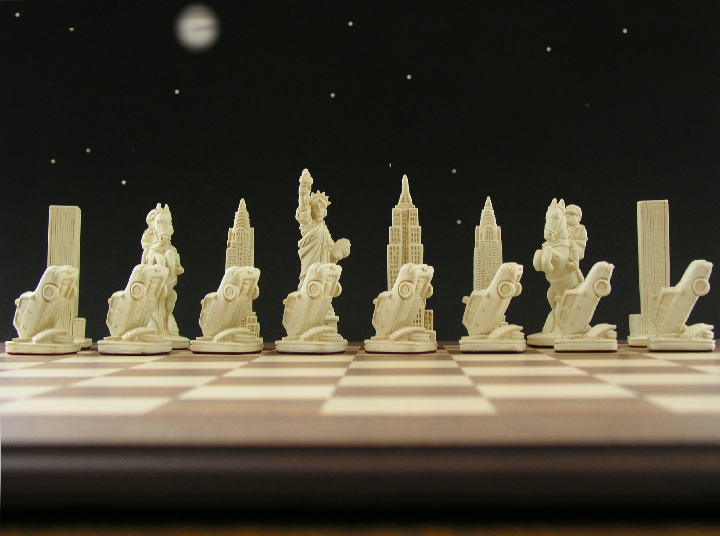 Very unusual theme, try something very different. 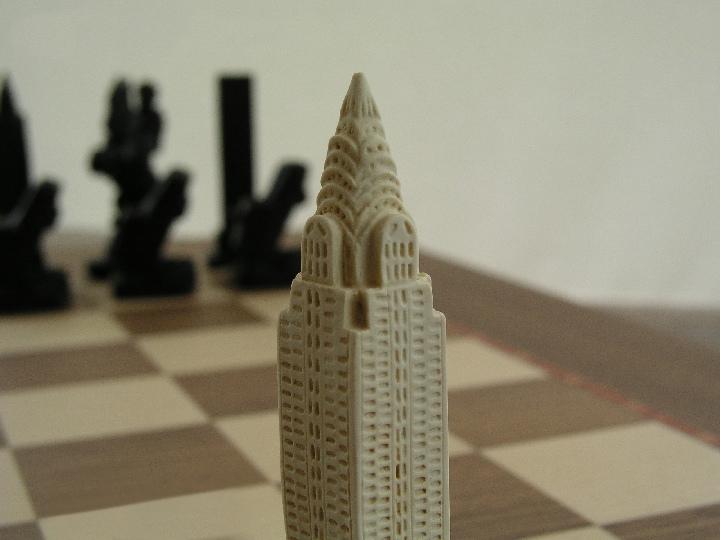 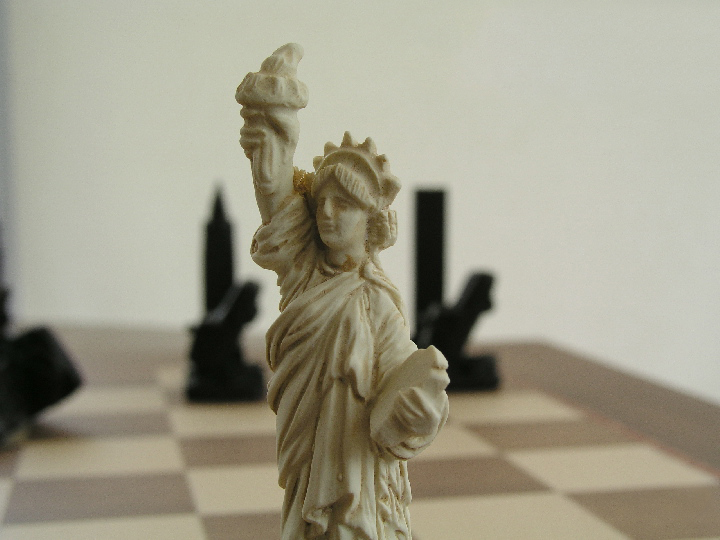 Chess with a New York Flavour.